Imagine holding a Civil War relic in your hand that's 150 years old-and completely yours. This exceptional collectors set includes a complete Civil War-era newspaper, with some minor wear and tear as you'd expect from a generations-old original. 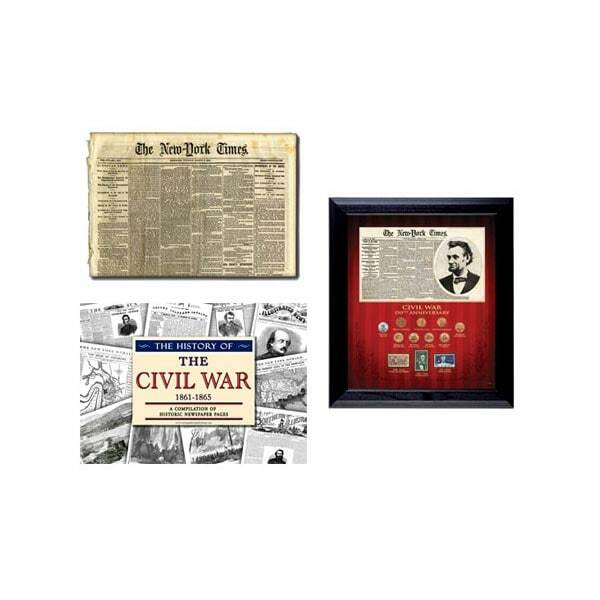 Stored in a protective acid-free envelope, it's accompanied by a framed reprint of the March 4, 1861 New York Times front page plus a 1909 Lincoln penny and three vintage commemorative stamps from 1958-1959. Also included: a Civil War newspaper compilation that chronicles the war as well as Abraham Lincoln's historic presidential term.